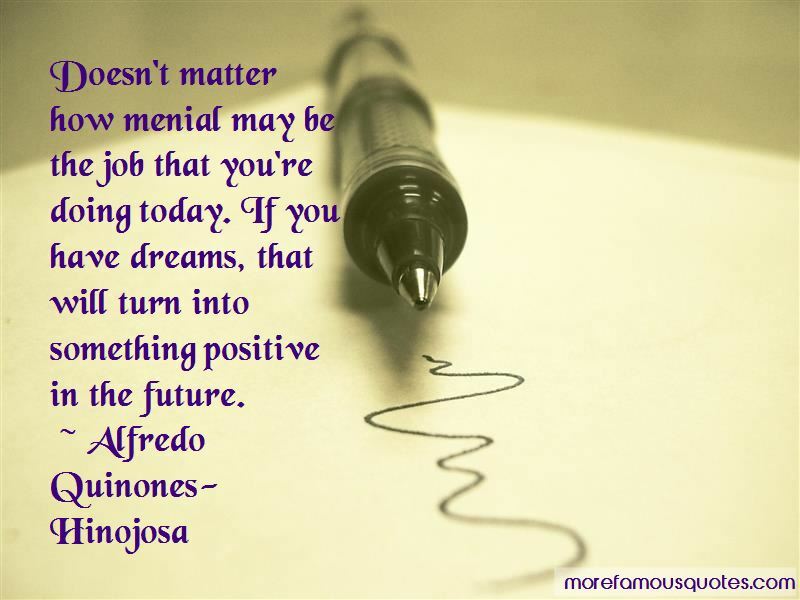 Enjoy the top 14 famous quotes, sayings and quotations by Alfredo Quinones-Hinojosa. To hear the amount of hate that people have in the United States is disheartening. However, I still have hope that we have not reached the pinnacle. 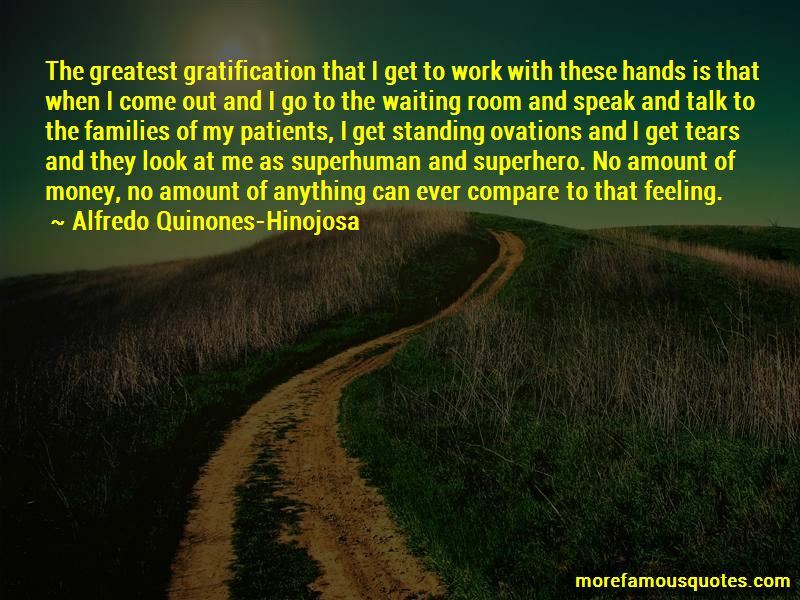 The greatest gratification that I get to work with these hands is that when I come out and I go to the waiting room and speak and talk to the families of my patients, I get standing ovations and I get tears and they look at me as superhuman and superhero. No amount of money, no amount of anything can ever compare to that feeling. I continue to do my job as a brain surgeon, as a researcher, and I try to make it better and better every day, not only for my patients but for their families, for my family and for the future generations of our country. I'm not a genius. I just worked really, really hard, and I want our generation, our children and our future generations to realize that they can fulfill the same dreams. Want to see more pictures of Alfredo Quinones-Hinojosa quotes? 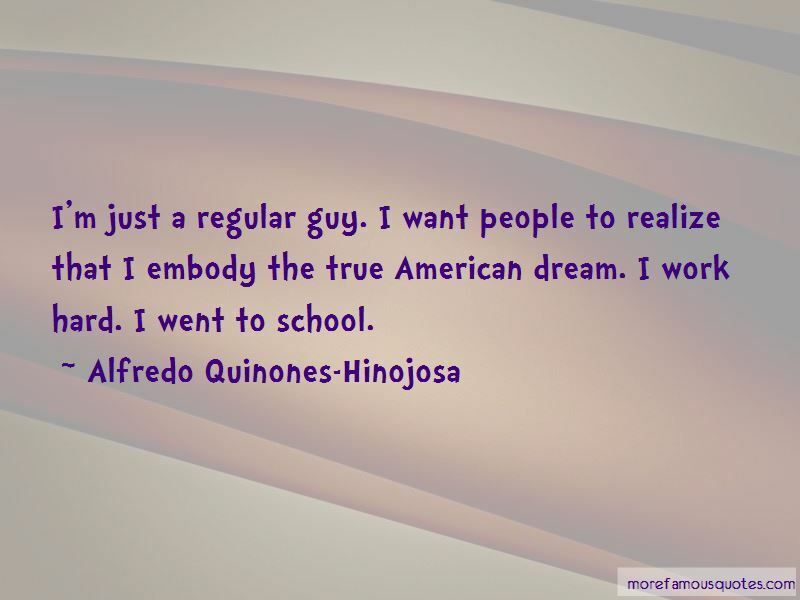 Click on image of Alfredo Quinones-Hinojosa quotes to view full size.